Are you ready to immerse yourself in the teachings of yoga at a deeper level? Are you ready to share the joys of yoga as a fully qualified teacher? 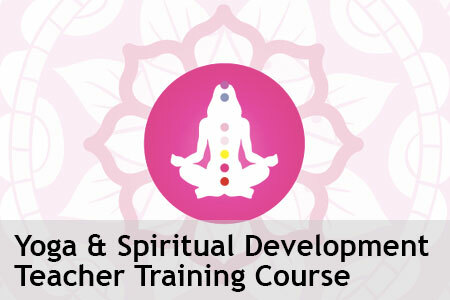 This course offers an opportunity to deepen into a life blessed with all aspects of yoga. It also offers the opportunity for you to grow into a fully fledged teacher passing on your knowledge and experience to other people. But the course is more than that. In addition to gaining your teaching qualification, the course will enable you to cultivate compassion within you, empathy for others, gratitude for what you have and acceptance of everything that is. How to develop a safe teaching style which is always inclusive and comes from a place of healing and compassion. Finding your own inner teacher, learning how to hold a space so that a yoga class can become a healing practice and finding your own voice as a yoga teacher. Practicalities: how to structure classes. How to adjust safely and use props effectively. How to adapt for various anatomical and physiological issues as they arise in the class setting. How to market your yoga classes from a yogic perspective, how to set up classes and advertise. How to bring spirituality to business. Developing a strong Sivananda practice as well as a vinyasa style flowing practice. Completing daily spiritual diary over the 7 months of the course. Reading of spiritual philosophy and self help books. Developing a strong daily practice of pranayama and deepening into a strong practice of meditation and visualisation. Keeping a journal to help note the emotional effect of the yoga practices, combining body, mind, emotions with experiences of daily life. Using yoga nidra to release stress build up, help you to let go of fear and to relax into all levels of your being. Offering yourself as a volunteer in an environment such as care work, a soup kitchen, food bank or refugee camp. Dedicated service to humanity asking nothing in return. Choosing the karma yoga service which comes from within you to offer healing out into the world. Monthly intensives on the world of the chakras and how to deepen into the experience of the chakra system. Using the chakras as a model for understanding the manifestation of spiritual blocks, physical symptoms and experiences in deep meditation. What is Yoga? Process and Conclusion - more in-depth and explaining our path and progress. Relative reality vs Ultimate Reality. Life of Frequency - Understanding the 3 Gunas. Karma Yoga - Spiritualising your Life’s Actions. Classical Hatha Yoga - What’s the goal of the Practice? Raja Yoga - Understanding the Royal Practices. Ego vs. Atman - What is What? Staying motivated on your path. Understanding the nadis. Acceptance of death as a part of life and reincarnation of the soul. Understanding the human body and all its intricate systems. Understanding muscles, joints and connective tissue. Understanding fascia. Using anatomy and physiology to be a better teacher and student of yoga. Going deeper into common ailments presented in yoga classes. Using knowledge of anatomy to practice and teach safely. Enabling yoga to be a Healing System. The course takes place over 8 months. There are 7 weekend intensives (once a month in Bristol) plus a one week intensive retreat at Shanticentre (12th - 19th April 2020). The total price of the course is £2600. You can choose to pay as you go (£250 per weekend module, plus £850 for the week intensive). Alternatively you can pay an initial fee of £600 followed by £100 a month for the next 20 months. Please note your certificate will not be issued until all modules and coursework/assessments have been completed and all payment has been received. Please use the contact form to request further information or to book your place on this training course. Stephanie is the Director and co-founder of Shanticentre. 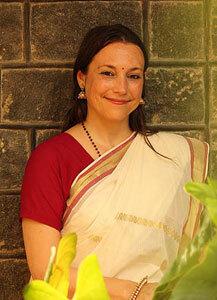 She has taught over 20 yoga and Reiki retreats at Shanticentre and hosted and organised over 100 for visiting teachers. In addition to this work she regularly runs retreats and workshops in the UK and overseas. Her original teacher training was with the Sivananda organisation in 2000. Since then she has completed many yoga courses over the years in the UK and India and have studied Ashtanga, Iyengar, Jivamukti, Vinyasa and Yin Yoga as well as Meditation and Mindfulness. Lila will be teaching the Yoga Philosophy module of the course. She has been teaching yoga for almost two decades working for the Sivanada organisation and more recently has begun running her own Yoga teacher training program in her hometown in Ohio. In 2007, she founded the nonprofit DeafYoga Foundation dedicated to bringing yoga to the Deaf and Hard of Hearing communities. She is an expert in the Bhagavad Gita, Patanjali Yoga Sutras, Hatha Yoga Pradipika running workshops and trainings on the sacred yoga scriptures.